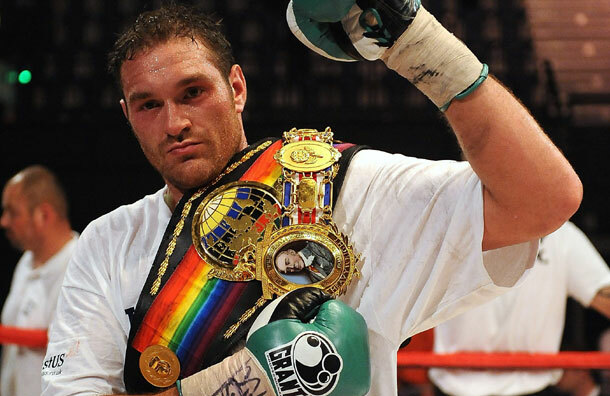 Heavyweight boxer Tyson Fury vacated his British and Commonwealth heavyweight belts today in favour of pursuing a world title. The Morecambe heavyweight's promoter Mick Hennessey revealed the decision after his negotiations with Fury's mandatory challenger David Price reportedly broke down. As a result the 6ft 9in Fury, currently seventh in the world heavyweight rankings, is now expected to pursue world title glory. He said: "It's been an honour to have won and held both the British and Commonwealth heavyweight titles, but as I'm now currently number seven in the world it's time to move on. "If David Price really believed he could beat me the smart move in my opinion would have been to take the great pay day that was offered by my promoter to appear on terrestrial TV. I'm really excited about my future plans as I'm doing things differently and currently training like a Trojan in pursuit of becoming heavyweight champion of the world." Hennessy added: "Tyson's next steps and further information will be announced over the next few days."